Childhood memories of blackberry picking ... A burst of deep, tart blackberry juice, blending with the freshness of just-gathered bay and brambly woods. Vibrant and verdant. Our luxuriously rich Body Crme with its conditioning oils of jojoba seed, cocoa seed and sweet almond, help to hydrate, nourish and protect the skin, while delicious signature fragrances leave your body scented all over. 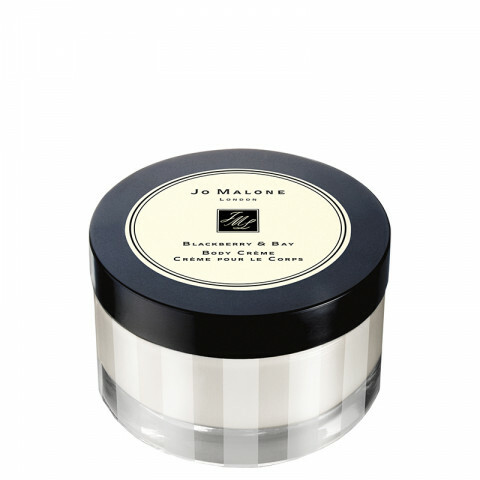 I love Jo Malone's products. But this one is my favorite. It makes my skin smooth and moist all the time.